This article appears in the preface of Keystone Korner: Portrait of a Jazz Club by Kathy Sloane (Indiana Univ. Press, 2011). I enjoy imagining jazz clubs as I listen to live recordings, and if those sessions took place at venues I've known, I find it downright difficult not to recreate (and sometimes relive) the setting. I'm thinking now of Bradley's in New York, with its long bar to the right and the portrait of Paul Desmond over his donated grand piano; when I hear recordings from Bradley'sespecially the two marvelous CDs by Kenny BarronI'm suddenly on a bar stool. Same for the Village Vanguard: I'm subterranean, surrounded by jazz portraits along the dark walls of fame. Even Carnegie Hall and festivals at Newport bring to mind specific spaces and images. Yes, the music must always be paramount and few recordings capture the energized vitality of live performance, but the ambiance of jazz creates a still greater intimacy with the music, and that's where photographs and the written word can inspire specific memories or imagined stage settings. Like most East Coast jazz fans of my generation, I never had the opportunity to experience Keystone Korner, and until I met Kathy Sloane, I appreciated the club exclusively for its live recordings. Some of my early LP purchases included Art Blakey's In This Korner, McCoy Tyner's Atlantis, and Stan Getz's The Dolphin; later, I picked up astonishing Keystone recordings by Bill Evans, Dexter Gordon, Freddie Hubbard, Rahsaan Roland Kirk, Tete Montoliu, Woody Shaw, Zoot Sims, Eddie "Cleanhead" Vinson, Mary Lou Williams, Denny Zeitlin, and many others. Long before this project began, my Keystone collection swellednot out of admiration for the club but for its musicians. Todd Barkan's taste in music fed my musical desires; my life would be truly diminished had he not had the vision to create this club and the intelligence to record the lasting music by the artists who passed through. 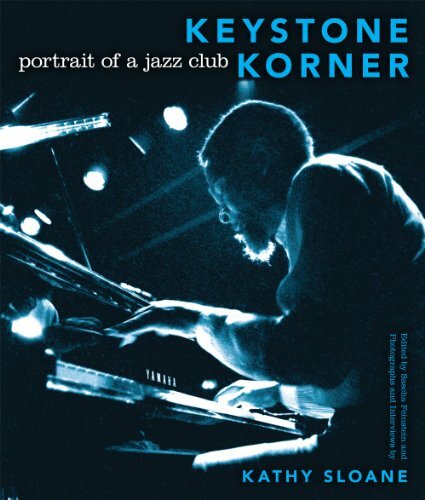 And now, thanks to Kathy's photographs and her hardearned triumph of oral history, I experience Keystone Korner all the more intimately. Sure, it's farfetched to say that I can smell Ora's cooking when I hear the tunes, but, with ease, I can now place the sound within the psychedelic atmosphere: the tightly packed crowds awash in legal and illegal smoke, eyes focused on the musicians onstage beneath the dramatic mural. Because of the stories of witness and beautiful visuals, I listen with new ears to introductions by such favorite artists as Dexter Gordon: "On our last European tour, we happened to visit Scotland," he announced on the first of three Keystone volumes. "We saw the" and here he pauses with a typically long Dexter cadence, and in the background one can here the clink of glasses. Suddenly, I'm wondering if it's Helen Wray, struggling with one of those weighted trays and working hard to get the drinks out before the music begins. Then Dexter hits the punch line: "Loch Ness monster." There's laughter, and someone says "All right," as in, "Okay, if you say so." And I might as well be in the first row, looking up at this tenor genius beneath a halo of mural as he adds, "He made quite an impression." Because the sound engineers left the tapes running, we get to hear Zoot Sims and company calling out the next tune and key ("I'll Remember April" in G) during the applause. We hear the audience whooping when Eddie Cleanhead Vinson starts to sing "They Call Me Mr. Cleanhead," and later giggling and hollering like rentparty audiences as he works his way into the climax of "Back Door Blues." 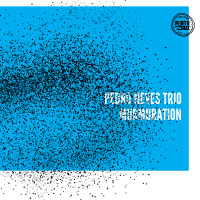 On Art Pepper's San Francisco Samba, we hear an audience member over the final, fading notes to "Art Meets Mr. Beautiful" call to his hero, "Love you, Art." But now we can almost befriend the audience members. For me, at least, the Keystone doors have reopened. Imagine, for a moment, the young bassist Marc Johnson beneath the giant mandala, his eyes half shut, almost rolled back. 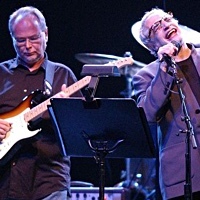 Drummer Joe La Barbera's to the right of the stage, and to Marc's left, behind the piano, sits their leader, Bill Evans. During his weeklong engagement in 1980, the trio plays several versions of "Nardis." Early in the week, he looks through the smoke and says, "We're going to conclude this set with an extended version of something that's been in our repertoire from the beginning . . . We've learned from the potential of the tune, and every once in a while a new gateway opens. It's like therapy, this tune." On September 8, his last night of the engagement, he closed with another version of "Nardis," almost twenty minutes long. "We've had a very nice engagement here," he tells the crowd. "You people in the audiences have been wonderful, and I hope we'll be back soon." On September 15, he died.